Well, no. On September 24, 2006, I lost two men who were very dear to me. I’ve never publicly told the story of that day (and the day after – you’ll understand soon) because I wasn’t sure what relevance my simple story might have. But in the world we are in today, remembering the hard stuff, and knowing that I made it to the other side, is something that gives me hope. It wasn’t open quite yet, when those of us there saw two friends coming toward our booth, and even as we shouted greetings, we knew something was wrong. Among the first words from ML’s mouth were “Patrick died.” The reactions were indescribable. See, Patrick Quinn was not only a giant of the industry (and the labor movement), but an extraordinary man, dear to more people that he probably ever knew. The rest of that day is almost a blur, but what I remember most is sitting in our office, calling the people who needed to know, so they wouldn’t hear rumors or see it in the paper – listening to them cry and rage, or worse, fall silent and not speak before hanging up. And then, that night, we raised a glass in Pat’s memory for the first time, but not the last. I didn’t sleep that night – I think most people didn’t – and the next day in the office, I, at least, was wandering aimlessly… until a friend came to find me, and forcibly dragged me into ML’s office, demanding I sit down. I just couldn’t. I kept saying “just tell me” until she told me that there was a rumor going around that my dear friend Eric Muratalla had died Sunday in his hotel room in Chicago. I sat then. And I begged her to reach out to verify it, as she was sadly able to do. I left them. I had to get away. And then I started calling people. I had to hear it myself, and I did. For the remainder of the week, I distracted myself planning. Buses to Patrick’s funeral. Travel and hotel to California for Eric’s funeral. And I worked. It was my work that brought both these men into my life, and neither one tolerated slackers. I know, it’s not much of a story. But as the eleventh anniversary of that day approaches, I needed to tell it. Even more importantly, I needed to remind myself that even the darkest days will be followed by the sun if we believe. And I do. I’m #reclaimingmytime because #neverlessshepersisted and I am part of #theresistance. But, DAMN, I’m tired. I’m even more tired than I was a year ago. We’ve had 45 in office now since January, and many of the same people are STILL attacking Hillary Clinton. Those same people (and others) are attacking our future as well (see “Kamala Harris”). These BernieBots and third-party voters and stay-at-homers, who through their actions gave us this toxic administration, are still trying to blame the woman who is no longer in public office. What scares them so? Well, for one, no-one likes to admit they were wrong. Look at how many people said 45 and HRC were basically the same, and even with the truth staring them in the face, they cannot acknowledge they were wrong (see “more people than I can name”). 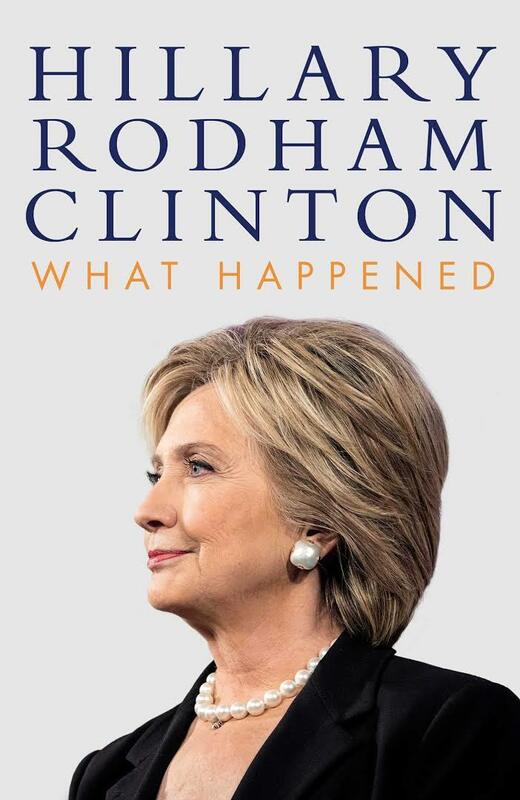 For two, I think they are afraid of the truth in Hillary’s book. We’ve already heard some of it, and they are losing what’s left of their collective minds. But I think it is about.damn.time. When we will be ready for a woman to be a full human being? To be right and wrong and honest and unkind and kind and forceful and lose her temper and NOT APOLOGIZE? I want to support that woman. I want that woman in office. Goddamn it, I want to BE that woman. But that won’t happen in the current environment, and no, it is not because the women out there are not qualified, or not ready, or not whatever aspersion you try to cast because really, you just don’t want to vote for a woman. It won’t happen because we still think of women as “less than” and we try to prove that through the purity testing in which we engage. And no-one, not even Saint Sanders, can pass that test. So, try something. Take, for example, Kristin Gillibrand, one of my Senators and a personal favorite. And change the name to Kevin. I bet, even if you don’t want to admit, that for a hot second you liked that person better. Try this any time you want to say about a woman “I would choose her if she only…”, and be honest with yourself if you would test a man the same way. Really, in the world we should be building, quality is genderless. But we need to try harder.